Will EU countries accept their ISIS fighter citizens back? The fate of foreign fighters who joined Islamic State, as well as of their wives and children, has become more pressing in recent days as U.S.-backed fighters plan an assault to capture the last enclave of the group's self-styled Caliphate. U.S. President Donald Trump said on Sunday European countries must do more to take them back or "we will be forced to release them". But European countries say there is no simple solution. Fighters must be vetted and prosecuted if they return. European officials complain that dealing with the fate of the detainees has been made more complicated by Trump's abrupt announcement in December that he plans to pull out the 2,000 U.S. troops protecting the area where they are being held. 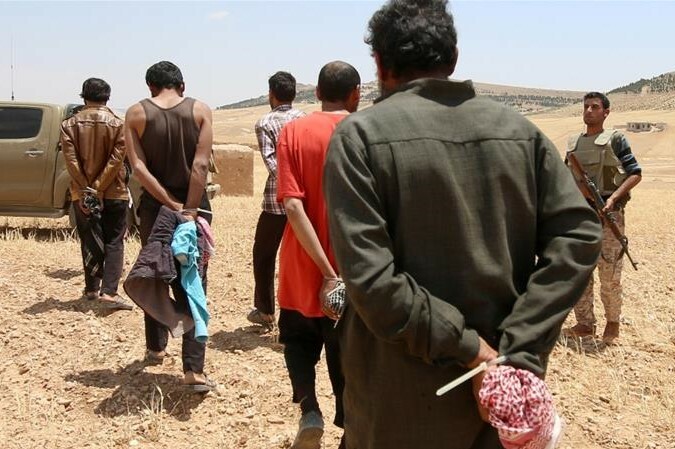 Omar, the official in the Kurdish-led Syrian region holding the prisoners, said the authorities would never release the fighters, but they could escape in future, especially if the area comes under attack. The Kurdish-led forces are worried about a potential attack from Turkey once U.S. troops leave.